A Powerful Tool To Help You Simplify The Transition Process. 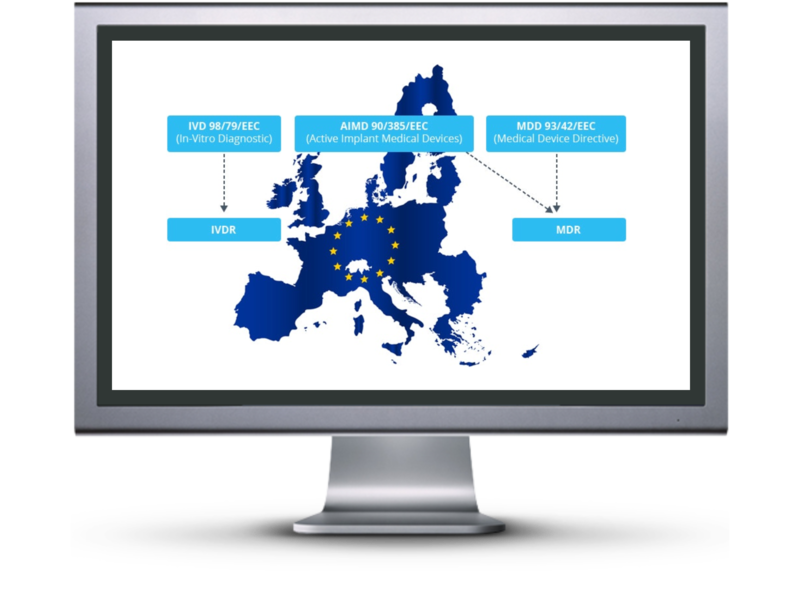 This free tool, developed by Regulatory Globe, is intended to help medical device companies in the transition process of implementing the new European Medical Device Regulations by offering a simplified way to understand, assess and execute necessary changes required for compliance. Watch this 2 minute overview video to learn about the many benefits of using this powerful tool in your transition process. The European medical device industry will undergo significant changes following the end of the 3-year transition period of the new medical device regulation which went into place on May 26th, 2017. As the name suggests, it is a regulation and no longer a directive. All medical device companies looking to sell any medical device products in the European Union must adhere to the new medical device regulations by May of 2020. In order to find all gaps within a company, a complete gap analysis is required. Greenlight Guru is a modern quality management software platform used by medical device companies in over 25 countries to bring new products to market faster while simplifying regulatory compliance and reducing risk. Being the only industry specific, cloud-based eQMS, Greenlight Guru is easier to implement, easier to use and simply fits medical device processes out-of-the-box allowing companies to innovate faster and be more efficient. Click here to learn more. Health is one of the basic needs of humans and should always come first. People who cannot cover these basic needs, for whatever reason, are usually dependent on outside help and that is precisely the goal of the medical technology industry. To develop medical products that improve quality of life and extend life expectancy. In order to serve this basic need optimally, laws and regulations are inevitable. Such regulations ensure safety and quality of products as well as raise the state of the art and thus promote progress steadily. This is the reason why it is so important to take the new requirements as an opportunity for improvements and not as a burden. Only companies that recognize this will be successful in the long term. This is where the task of Regulatory Globe begins. Together with our partners, we specialize in monitoring laws and regulations and provide tools that help our clients improve their products processes. This will eventually benefit the people in need of these medical devices. Visit our website to learn more by clicking here.